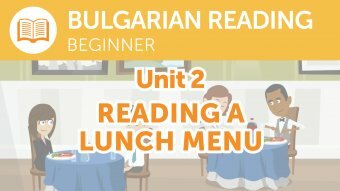 Try your hand at reading real Bulgarian in context. What Does that Bulgarian Signal Say? Is This Bus Service Running Today? A Bulgarian Offer You Can't Refuse! Our team of Bulgarian language specialists have been releasing new audio and video lessons weekly. That&apos;s a lot of Bulgarian language learning! All new lessons are FREE for the first 3 weeks before going into our Basic and Premium Archive. Our team of Bulgarian language specialists have been releasing new audio and video lessons weekly. That&apos;s a lot of Bulgarian language learning! All lessons are free for the first 2 weeks before going into our Basic and Premium Archive. Having trouble staying on track? 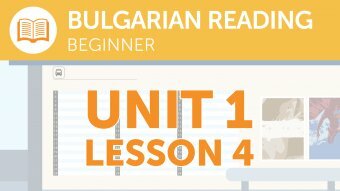 The Basic Lesson Checklist will help you stay organized and committed to your Bulgarian language goals! Having trouble staying on track? 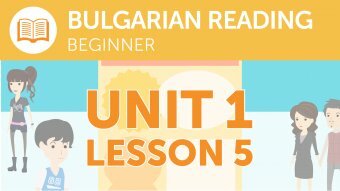 The Premium Lesson Checklist will help you stay organized and committed to your Bulgarian language goals! Don&apos;t have enough time for an entire lesson today? Listen to the Dialogue Only Track to hear the native Dialogue. Listening to a little bit of Bulgarian everyday, no matter how much, will greatly improve your listening comprehension. Guaranteed! Follow along to our award winning lessons with detailed PDF Lesson Notes! These easy to print notes take a closer look at the grammar point and vocabulary words presented in the audio lesson. Plus, read more about Bulgarian cultural topics related to the lesson. Sign up for your Free Lifetime Account and get even MORE Bulgarian language help with the PDF Lesson Notes today! Sit back and enjoy the BulgarianPod101 video learning experience in all its fullscreen glory. Our Bulgarian specialists are consistently producing and releasing new video series, with all lessons free for the first 2 weeks before going into our Basic and Premium Archive. 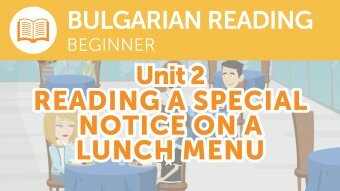 Want to read along and FULLY understand the Bulgarian in this lesson? Just turn on the Video Captions. You'll be able to read along as you watch – in Japanese or with English translations! 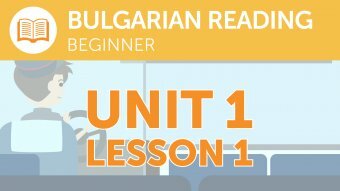 Unlock our high definition video lessons that get you speaking, reading, writing and understanding Bulgarian in minutes. 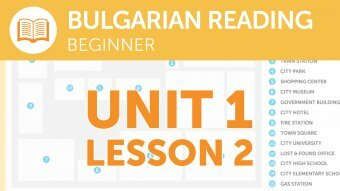 Clearer picture, clearer sound – all so you learn Bulgarian without missing a beat. 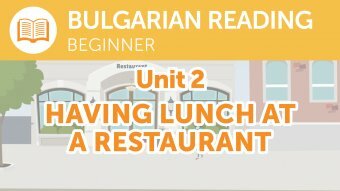 Sign up for your Free Lifetime Account and learn Bulgarian with our fast, fun and easy video lessons. How good is your Bulgarian? Let’s find out! Test your language skills with assignments. 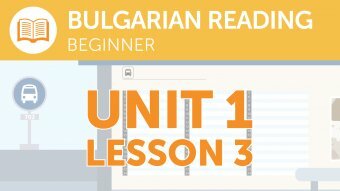 Unlock interactive assignments that test you on all of the Bulgarian you've learned so far.